No matter how much you hate Windows 10, there are definitely some things that Microsoft has arguably done better than the pack. Thanks to Windows 10’s universal apps support, Microsoft has introduced deep linking in the operating system which lets developers include multiple entry points into an app. Surprised at what are we getting at? 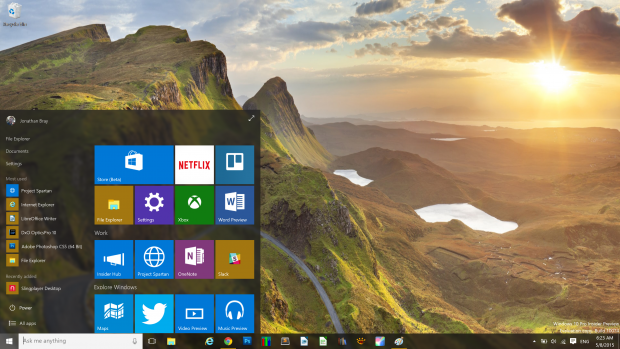 Content and the absolute ease of access that Windows 10 offers to a user. Using these deep links, it is now possible for you to pin your favorite content on to Start menu. Instead of launching your music app and finding the content to play it, you can simply link it directly to the Start menu to have easy access to it. Like several other universal apps, Microsoft’s Groove Music also takes the benefits from the new operating system’s capabilities. Among these is the ability to pin your favorite music to the Start menu. Right-click and choose Pin to Start from the context menu. On touch-screens, tap and hold to get access to the menu. If you have to pin a playlist or an album: display it > More > Pin to Start. You can group or arrange these tiles like any others in the Start menu. Enjoy having easier access to your favorite content. Note: Windows 10 beginners guides are written to help newbies play around the latest operating system and get the most out of its new and old features.